Our last post explored the emergence of the field of nanotechnology as we know it in the 1980s and 1990s, including seminal developments by scientists such as Eric Drexler, Richard Smalley, and others. Now we turn our attention towards the early 2000s, which proved to be an exciting time for nanotechnology. The field could now be explored and debated in greater depth. Drexler and Smalley, for instance, famously engaged in a public discussion about approaches to nanotechnology, with Drexler defending his idea of "universal assemblers" and Smalley offering objections. Meanwhile, concerns about the broader implications of nanotechnology - a potentially very powerful but still relatively new field - were being raised and addressed with consideration given to both the potential benefits as well as risks involved. In 2003 congressional hearings on the societal implications of nanotechnology were raised and in 2004 the Royal Society and Royal Academy of Engineering published a report on the implications of nanotechnology and nanoscience, which you can read here. In the early part of the decade, titanium dioxide and zinc oxide nanoparticles were included in sunscreen and cosmetics, and carbon nanotubes were used to make textiles stain-resistant. By 2011 the Project on Emerging Nanotechnologies estimated that there were over 1300 nanotech products publicly available. You can also find out more about our ion-mask™ technology here and as always if you have any questions we would love to hear them. In our last post we looked at some very early developments in nanotechnology, including the possible impact that Richard Feynman's 1959 lecture "There's Plenty of Room at the Bottom" may have had on later advances in the field. It was certainly an influence on Eric Drexler, "the undisputed godfather of nanotechnology", who encountered Feynman's talk in 1979. The 1980s saw the real emergence of nanotechnology as a field of study. The publication of Drexler's seminal book Engines of Creation: The Coming Era of Nanotechnology in 1986 marked an important milestone for the field. In the book, Drexler (unknowingly) appropriated and popularised the term "nanotechnology" itself, which had been initially defined in a slightly different context in 1974 by Tokyo Science University Professor Norio Taniguchi as "the processing of, separation, consolidation, and deformation of materials by one atom or by one molecule". In Engines of Creation, Drexler presented his idea of molecular manufacturing and the "molecular assembler": a "proposed device able to guide chemical reactions by positioning reactive molecules with atomic precision". Drexler's 1992 book Nanosystems: Molecular Machinery, Manufacturing, and Computation, published after completion of his PhD at MIT (he earned the first doctoral degree on the topic of molecular nanotechnology) continued to build on these ideas. The 1980s also saw other important advances, including the invention of the scanning tunnelling microscope (STM) in 1981 and the discovery of fullerenes in 1985. The Scanning Tunnelling Microscope, developed by Gerd Binnig and Heinrich Roher at IBM Zurich Research Laboratory, allowed surfaces to be examined at the atomic level. In 1985, Harry Kroto, Richard Smalley and Robert Curl discovered fullerenes, sometimes called buckyballs - hollow molecules composed of carbon, which helped lead to the structural assignment of carbon nanotubes. These developments meant that "nanotechnology could develop through the scientific method rather than the conceptual and thus untestable visions of Drexler", and the field as we know it today - diverse and full of possibility - was born. Next week we'll look at some of the debates and developments that have occurred in more recent years, and get a glimpse of where nanotechnology might be headed in the future. So this got us thinking and the idea of The Repellent Files were born. So what are The Repellent Files? Each week we will upload a new video to YouTube of a different, normally water absorbent item that has been treated with our liquid repellent nano-coating to see how well it copes when subjected to water or other liquids. In our first file posted yesterday, we investigated whether a teabag, coated with our nanotechnology, could keep the water clear once boiling hot water was poured over it. To ensure it was an even test, we had a regular teabag available as well. Thumbs Up! Although it is not very good if you want a cup of tea, but the test shows that our coating can stop a teabag acting as it should by successfully repelling the water around it. If you have any suggestions for items that can be put to the test, do let us know. You can also follow us on Facebook, Twitter and YouTube where we will be posting the next file. In our first post, we looked at some surprisingly early examples of nanotechnology at work. However, the field is generally considered to be a very modern one, and most major early developments occurred within the latter half of the 20th century. The history of nanotechnology is often traced to a very specific moment of inception: the 29th of December, 1959, when physicist Richard Feynman delivered an after-dinner lecture called "There's Plenty of Room at the Bottom" during a meeting of the American Physical Society at the California Institute of Technology. Feynman's lecture predated the use of the term "nanotechnology" to describe the field of study as we now know it, but many of the ideas he explored and the questions he asked are still highly relevant. Feynman wondered "why cannot we write the entire 24 volumes of the Encyclopaedia Britannica on the head of a pin?" and spoke of the possibility of building machines on a minute scale by "manoeuvring things atom by atom". ‘There’s Plenty of Room at the Bottom’ writes Dr. K. Eric Drexler, whose own work in the 1970s and 80s did much to advance the field, "was a comparatively casual effort - an after-dinner speech at a conference - yet in it he presented a bold and enduring vision of a technological journey leading toward the atomic scale and toward the ultimate boundaries set by physical law. The world has travelled far toward what Feynman saw, and has far still to go." It's hard to measure the exact impact that Feynman's talk had on the emergence of nanotechnology, of course, but, as Drexler points out, "Feynman was the first to outline a world of technologies that would work and build at the ultimate, atomic scale". The term "nanotechnology" itself wasn't coined until 1974, when Tokyo Science University Professor Norio Taniguchi defined it: "'Nano-technology' mainly consists of the processing of, separation, consolidation, and deformation of materials by one atom or by one molecule’.' Taniguchi used the term "to describe semiconductor processes such as thin film deposition and ion beam milling exhibiting characteristic control on the order of a nanometer. The ideas contained in this definition were further explored and developed by Drexler in the late 70s and 1980s, culminating in the release of his book Engines of Creation: The Coming Era of Nanotechnology in 1986, which "is considered the first book on the topic of nanotechnology". In next weeks post we will take a closer look at these ideas and how they developed. This week we have been exhibiting for the first time at CTIA Wireless in New Orleans. The show is a leading electronics event and we were there showcasing our Aridion technology to a host of brands, businesses and media. You may have seen on our Facebook and Twitter accounts about our collaboration with Kangol on their new range of headwear featuring our ion-mask™ technology. Well, we are delighted to announce that the collection is now available! As you can see from the video, headwear that is treated with ion-mask™ will stay dry and lightweight keeping the wearer comfortable throughout the day. 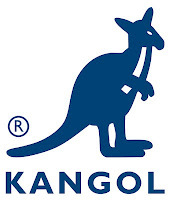 We are excited to be working with Kangol and look forward to hearing your thoughts on how you find these hats? If you have any questions about ion-mask™, such as how it works, please do comment below or you can get in contact with us on our Facebook and Twitter pages.